How can The K9 Coach help you? We come straight to the comfort of your home (or other appropriate training location) once a week to work out any issues you are having. We will work with you to create a fully customized program that meets your needs. We continuously update our education on all things dog-related and travel internationally to learn from the best in the world so that we can offer you the most effective dog training help. Looking for a lower cost training program? Our group classes are an excellent option, especially for puppies, and are a very affordable way to train. Contact us to see if its a good fit for your dog. "Good dogs don't just happen. You create them." My wife and I have both had dogs in our past but we were faced with a new issue. 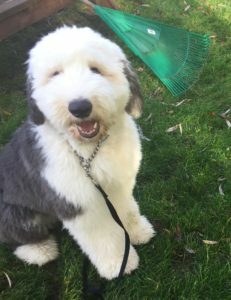 We had a beautiful 6 month Old English Sheepdog and four young kids. Rex is an awesome family dog but exhibited a number of behavioral issues in regards to our kids. We had no idea how to fix these and we became increasingly frustrated. After meeting Desiree, she assessed our needs and customized a training plan that exceeded our expectations. Within 3 weeks she corrected the behavioral issues and started us on our way with the tools to continue Rex’s training. 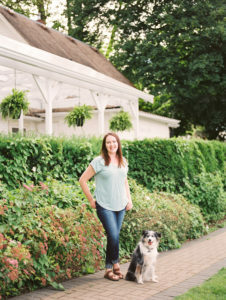 One of Desiree’s greatest assets , among many is her ability to carefully listen to you and more importantly your dog and devise a strategy to fix a particular problem. Our family now enjoys walking, hiking and playing with Rex. Our kids are no longer timid of the dog and play with him constantly. We highly recommend Desiree and the methods she uses. The difference in Rex in such a short time is remarkable! 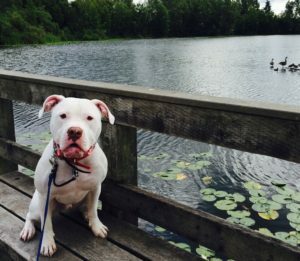 We met Desiree when we had exhausted all options of training for our 2 yr old American bulldog Ozzie who had almost no impulse control and was resistant to training. She found what worked for him and we saw significant changes from 3 lessons with her and take home homework. We decided to do board and train and in two weeks she did more with him than we ever could have. He's a completely different dog and we are so grateful for the progress he has made with her. 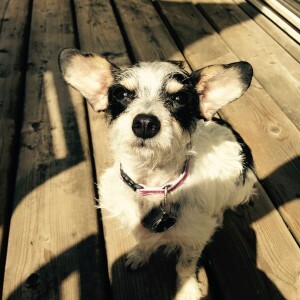 "I got a rescue dog from Mexico and wondered what I got myself into. She had issues that I couldn't handle and I didn't know where to begin. I felt overwhelmed. She chased my cats into hiding, lunged and barked when meeting new people, had an incredible fear of water and wouldn't listen at all to me. She came directly to my house for sessions, which was the only way for me. The Program consisted of Four sessions, but I only needed three! Now my cats are out and about. Alba even plays with one. I stood with door wide open for 6 min talking to a neighbor. Alba never made a peep and didn't move from the top stair. I took her camping for a week and she was PERFECT. She even followed me in deep water swimming. I am needless to say..... A happy happy girl. I still have work but my tools are the best!!!! Desiree has been worth EVERY PENNY I like to say. Thank you soo much."